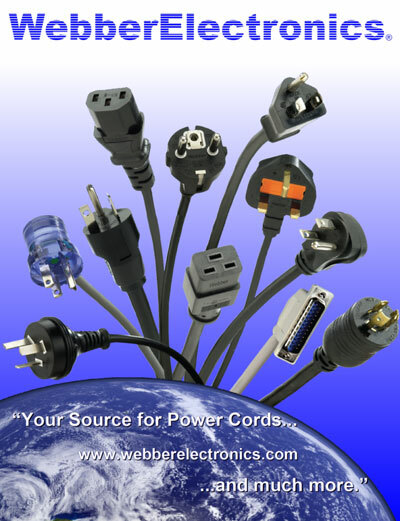 Webber Electronics offers a large variety of lengths of high-quality pro-grade HDMI® cables. The HDMI® 1.4 specification adds support for extremely high video resolutions that go far beyond today’s 1080p systems. 4K is shorthand for 4,000 lines wide by 2,000 lines high, or roughly four times the resolution of a 1080p display. The term actually covers two formats, both supported in the HDMI 1.4 specification. AV Professionals know that when doing a pro-installation or when adding an HDMI® cable to a device, they do not need to go buy the expensive retail cables for the job in order to get optimal performance. They will purchase product from Webber Electronics, which provides high-quality cables that meet or exceed industry standards, at a competitive price with a guarantee. Click here to browse our New HDMI Products. Webber Electronics Premium Component Video & Audio Cables are the perfect choice for connecting your all high-performance video & audio equipment to an HDTV or home theater system. Made from quality components, these cables guarantee you a crisp, clear picture and beautiful sound quality. Color coded RCA connectors and ultra-flexible jacket, allow for easy installation and identification. These cost-effective cables give you maximum picture quality at an incredible price. DVI has a number of different connectors that look similar, so be careful when ordering to ensure that you get the right connector. The digital DVI-D Dual Link video cable is the most common cable sold. DVI is a popular form of video interface technology made to maximize the quality of flat panel LCD monitors, TVs and modern video graphics cards. Many of the newest video cards are coming with a DVI port on them. To take full advantage of their graphics capabilities you need the right cable. Some video devices also support the DVI interface, but this is gradually being phased out in favor of the more popular HDMI connection. DVI carries a video signal only, so a separate cable must be run for audio. Single link DVI cables can support resolutions up to 1920 x 1080 while dual link DVI cables can support resolutions up to 2048 x 1536. Please note: The maximum recommended length of a DVI cable is 5 meters. Webber Electronics also offers HDMI to DVI and DVI to HDMI adapters as well as VGA to DVI and DVI to VGA converters.